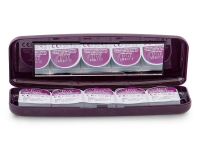 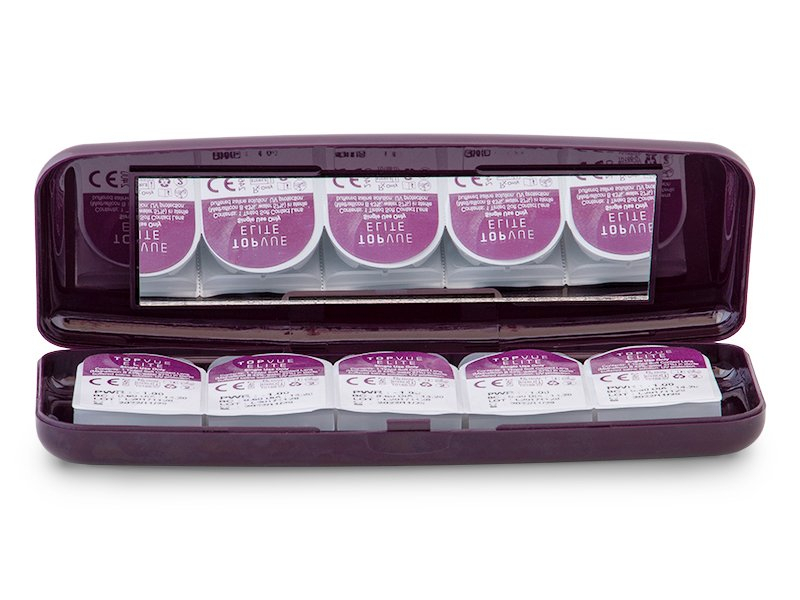 This hard plastic case is a practical and stylish solution for traveling with your daily disposable lenses. 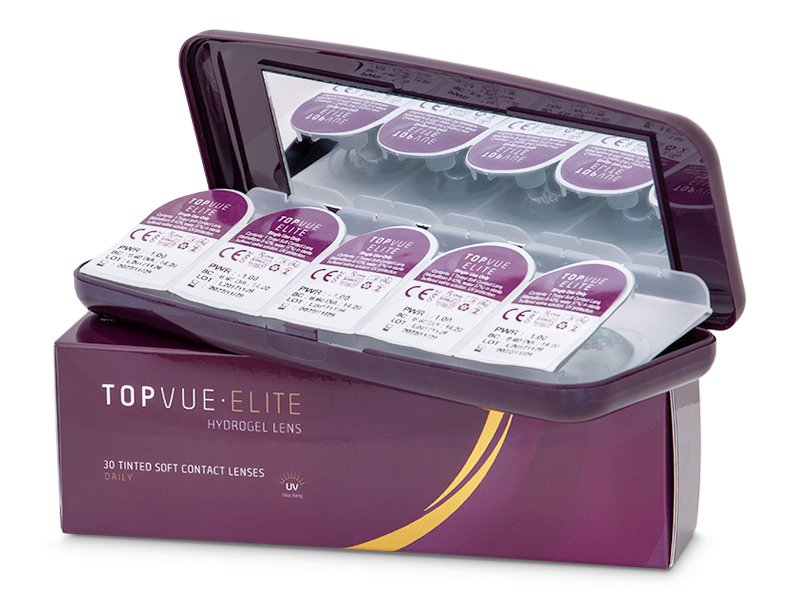 The case is designed by TopVue for use with any of their daily lenses, including, but not limited to especially TopVue Elite lenses. 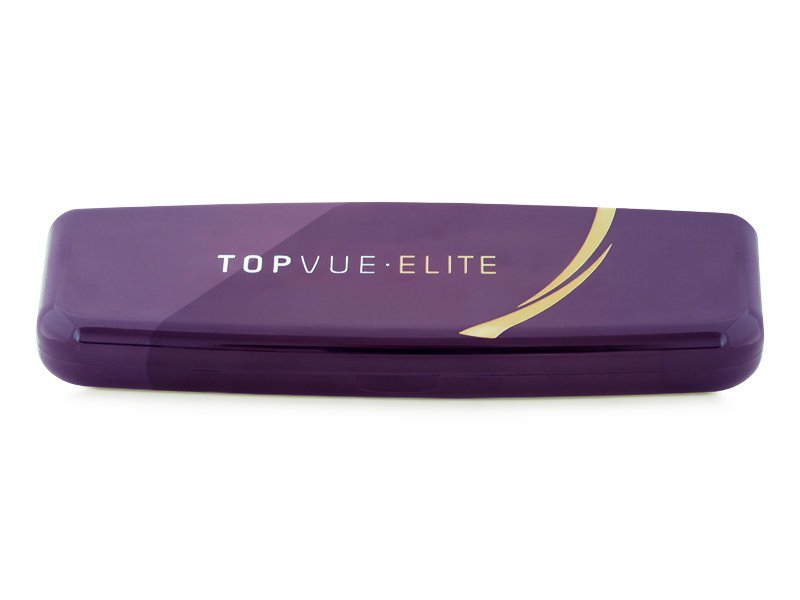 This handy case with TopVue’s elegant purble and gold logo holds up to 10 blisters (five pairs). 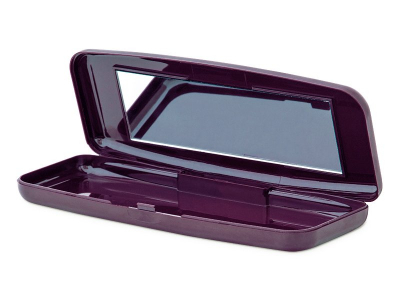 The interior of the case features a mirror to make lens application and makeup touch-ups simple when you’re on the go.